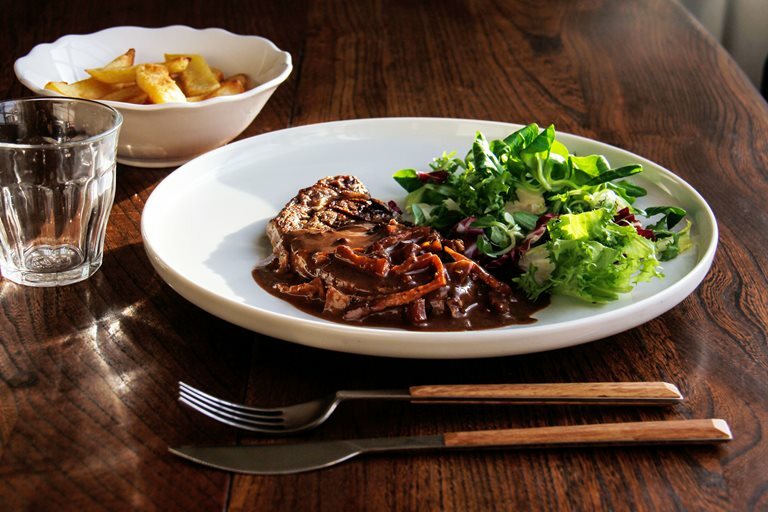 Usually associated with desserts and sweets treats, this recipe by Rosana McPhee shows how Belgian chocolate can also compliment a savoury steak dish. The mention of chocolate triggers an overwhelming craving that only a chocoholic can truly understand. The sweet lure of chocolate goes beyond the sheer love for the taste, it is rather the unexplainable satisfaction that is different from any other food. When you take a bite and allow yourself just to flow with the fascinating pleasure that comes with it, you are marvelled by the intense but unique sweetness of chocolate. How much food is there that can be used to say “I love you”? And how many craved foods trigger intense and passionate debates worldwide? Whatever your reason for eating it, chocolate carries with it a story of long journeys, history of peoples and exotic places. We usually connect chocolate with desserts and sweets treats but chocolate is an excellent ingredient in savoury dishes too. 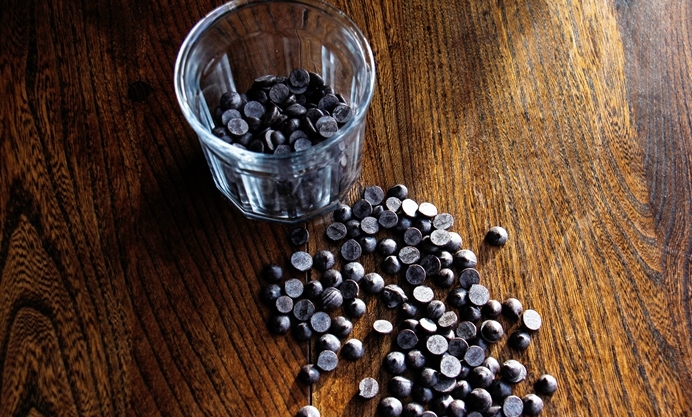 Here is a delicious recipe using one of the best Belgian dark chocolates, Callebaut. 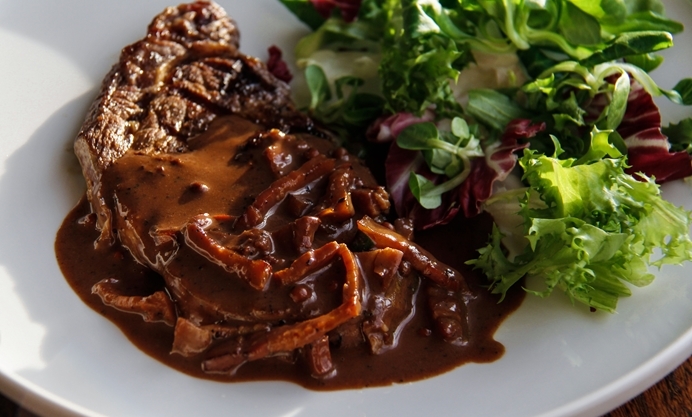 It adds a rich, velvety and luxurious texture to the sauce.